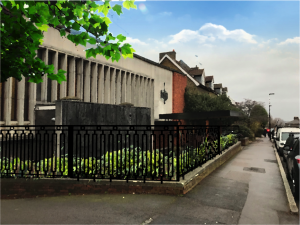 At the end of last year we provided the community with an update on the progress of the Muswell Hill Synagogue building project (see here). That update recapped the feedback we received from the community consultation held in the first half of 2017, and introduced some of the professionals with whom we had begun to work. Since then we have been focussed on turning that feedback into a feasible, fully costed set of plans, and we are pleased to be able to share those plans with you now. By way of background, it is worth revisiting the key components of the community feedback that formed the basis of our brief. Ambitious. 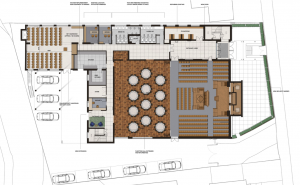 As the first major renovation project that has been proposed since many current members joined the shul, a clear appetite emerged to embark on a comprehensive refurbishment. Coherent. The project should be looked as a coherent whole. 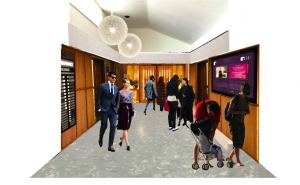 Given the flow between the foyer, the main shul, the hall and other spaces in the building, the design should look to create a consistency and optimise flow between them. Flexibility. We run a wide range of activities in the building, and this is growing as the community expands. So flexibility should be paramount in our thinking. Basics. The basic utilities of the synagogue should be looked at as part of the process, notably ventilation, heating and lighting. Tradition. The community has a very proud tradition, and that heritage should be preserved in a redevelopment of the shul. We have worked closely with a team of professionals to transform the brief into a tangible set of plans. The team consists of professionals from Squire & Partners, an architecture and design practice with experience spanning four decades; Lewis Berkeley, a building consultancy and project management practice, Conisbee, an award winning civil and structural design practice; and Taylor Project Services, a building services design consultancy. We are grateful to all of them for providing high quality services at a very reasonable cost, allowing us to keep fees to a minimum. We are particularly grateful to Murray Levinson, a community member and partner of Squire & Partners, for the dedicated hard work he has put in to the process as lead architect. We are a growing community with 700 members, up from fewer than 500 members twenty years ago. The increased membership places a burden on the synagogue building that the new plans seek to alleviate. The diagrams below outline our proposed plans, the visualisations are an indication of design direction rather than a final design proposal. An extension to the synagogue beneath the undercroft at the rear to house a new and accessible daily entrance, with a larger reception area. The extension will allow a purpose built corridor to facilitate easy access to the offices and other facilities at the back of the building. No longer will people have to walk through the hall to access to bulk of the building. A make-over of the front lobby area. Lighter and more welcoming, it will be a showcase for what the community has to offer. Upgraded security features. A new secure line around the perimeter of the site will upgrade the security of the building. In addition a dedicated security office will be constructed next to the new daily entrance to provide our security officers with a suitable space to oversee our safety. An enlarged and refurbished Bet Hamidrash. By knocking through to the ‘board room’ next door we will create a larger, more flexible prayer space with capacity for 100 seats. 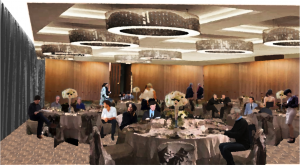 The new Bet Hamidrash will provide an inspiring space for alternative services, study and communal activities. A fully modernised function hall. By incorporating the old succah into the hall, and squaring off the corners where parts of the kitchen and reception area are currently located, we will create a larger function room. No longer a thoroughfare, the function room will be a proud, self-contained space with capacity for 150 banquet seating plus a stage. The hall will be fully redecorated, with new ceiling, lighting, ventilation and windows. 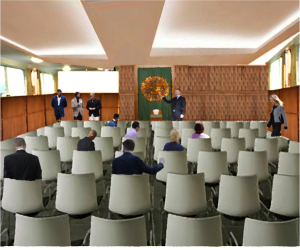 The partition to the main shul will be replaced with a moveable, soundproof partition that will allow overflow from the main shul on the busiest days of the year. Kitchen upgrade. The existing kitchen is functional but old and in need of modernisation. We will transform the kitchen into a modern food preparation area capable of supporting community events and externally-catered functions. Restoration of main shul. The main shul has a unique heritage that we propose to maintain. We want to make it a more comfortable space through the introduction of new LED lighting, additional ventilation in the ladies’ gallery, new windows and a redecoration. New children’s play area. Our nursery school children currently use the car park as their playground. It is not an ideal space for children and it restricts access to the car park for staff and visitors. We propose to build a new steel deck above the current car park with direct access from the nursery. It will provide a wonderful, accessible and safe outdoor environment for our children. Underlying all of these features and consistent with the brief to tackle ‘the basics’ the plans also incorporate an overhaul of the electrics, heating and ventilation across many parts of the synagogue building. 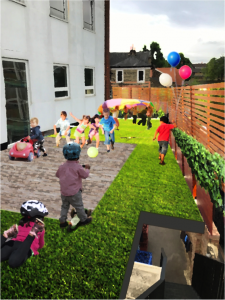 The proposed plans have been professionally costed by a quantity surveyor from Lewis Berkeley, working closely with the architects and engineers. Costs include estimates for upgrading existing facilities – ventilation, lighting, heating. They also include an estimate of repair works that would have to take place anyway, for example, to windows, doors and roofing throughout the building. It is estimated that around £300,000 would need to be spent maintaining the building over the next few years anyway. The current headline cost of the proposed works is £950,000. Once contingency, professional fees and VAT are added, the gross project cost will be £1.4-£1.5m. Very roughly around a third of this is allocated to building services, a third to utilities enhancement and a third to redecoration and fixtures. Approximately two thirds of the spend is earmarked for the ground floor. 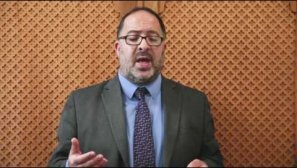 We have held extensive discussions with the United Synagogue about funding the plan. They have agreed to contribute £750,000 to the proposed scheme if we as a community can fund the rest. 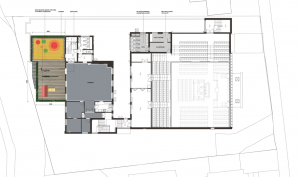 The proposed plans were presented to the community at a meeting on 1 July. We were pleased with the overwhelmingly positive response. Many questions were raised, and we trust we were able to answer them effectively. One issue did emerge that we agreed we would come back on: whether we install a lift. 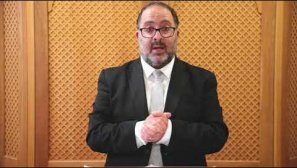 Accessibility is an important plank of the new plans, with a new accessible daily entrance, a refurbished disabled toilet and additional access to the main shul all incorporated. We will endeavour to come back with a feasibility analysis for a lift installation as soon as practicable. There is still a lot to do. We need to undertake assessments on timetabling and on community and nursery school impact. We will conduct these assessments carefully and sensitively with all affected groups. Work will also recommence on fundraising, and further refinement of the plans with professional firms remains ongoing. The proposals are also subject to planning permission. These are ambitious plans. They will only be possible with your support. We hope that you agree that the plans represent an exciting proposal for a modern refurbished shul that preserves its traditional heritage and can serve the community for the next 20 years. If you have any questions or comments please do not hesitate to contact one of us. Marc Rubinstein and Greg Swimer, on behalf of the Building Committee. a) please explain the thinking behind another entrance into the main shul. Is this to create a larger permanent mechitza area downstairs? b) Please explain why you think a little cubby hole in the kitchen area with an extra door would be an advantage. If you look in on kiddush preparations for any simcha, you will see that the problem for space is obvious, as 8 platters have to be spread around each person doing the preparation. This means for instance that platters are always spread over the surface of the stove . We cannot afford to reduce the overall size of the kitchen, and its workspaces. c) I don’t like the idea of carrying food through a corridor to get to the hall, with the usual traffic in the corridor, particularly of youngsters moving around, d) I don’t think the new corridor looks wide enough to be some kind of ‘inviting ‘ entrance. It looks like there would be no natural light and it would be narrower than the current corridors, which are narrow enough, but are shorter than this one.e)There is no fire exit from the hall.